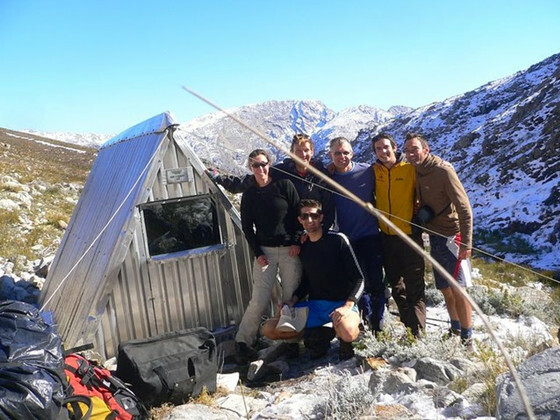 Perry Refuge is a small, emergency shelter in one of the most remote reaches of the Hex River Mountains. There’s perennial water available and a nice little dipping pool. 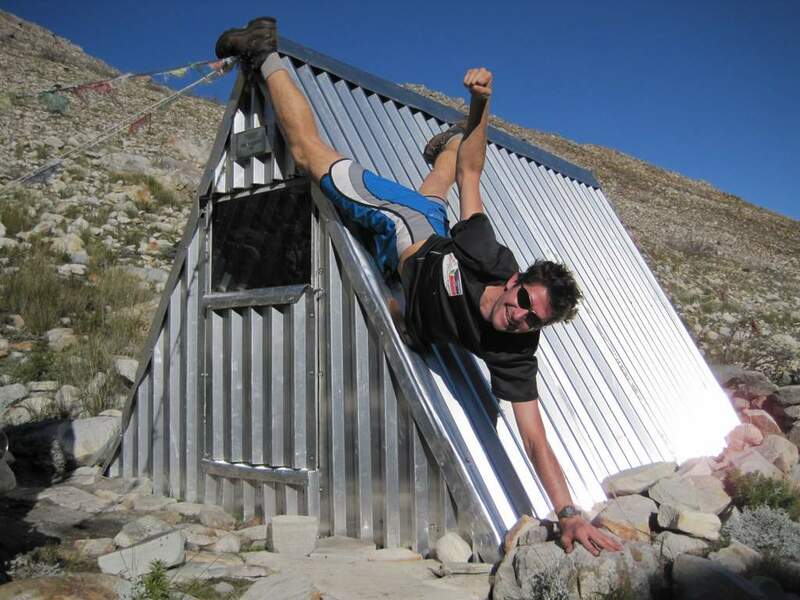 The structure is an A-frame steel hut that offers shelter to climbers and hikers in bad weather conditions. In September 1956 a party of young MCSA members were doing a traverse of the Hex River Mountains from Worcester towards Milner Vlakte. Their beacon record on Horseshoe Peak indicated a clear day, but a strong north-west wind started to blow. They camped that night at Sentinel Camp (which later became Perry Refuge). Before morning a fierce storm struck and flattened their camp, so it was a wet and half-frozen group that struggled back towards Thomas Hut. Sadly one of the group didn’t make it and died on the screes between Woolworth Building and Pulpit Nek. Sentinel Camp is hours away from safety in any direction so the Cape Town Section of the MCSA decided to erect a refuge using donations. Over the weekend of 14 – 16 December 1957 about 40 Club members carried the final components needed for the hut from behind Mount Superior to Sentinel Camp and erected the small A-frame metal hut. The original hut burned down in 2006 and a few energetic young MCSA members rebuilt Perry Refuge in 2009.